Bulleid Pacific 34028 ( 21C128 “Eddystone” ) arrived at Buckfastleigh Works today from the Swanage Railway. 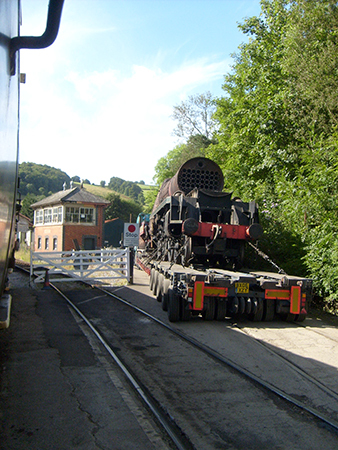 Our pictures show the engine passing the old Buckfastleigh Signal Box on an Alleleys trailer. 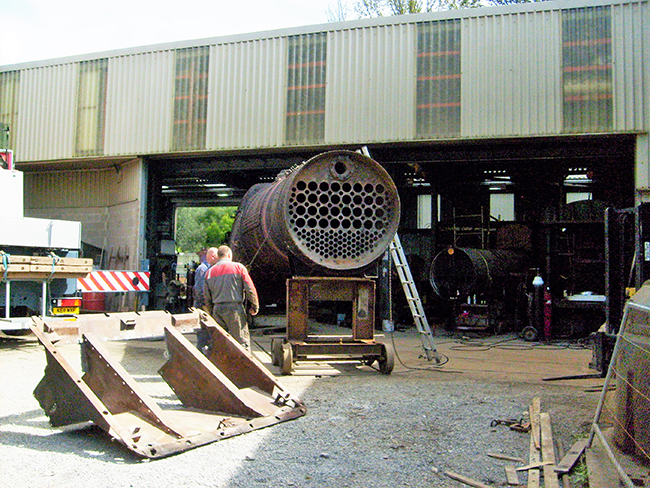 SDRE are carrying out some serious work on the boiler. A crane was on hand to lift the boiler out of the frames, after which the lorry left again with the chassis still on board as this is being overhauled elsewhere. 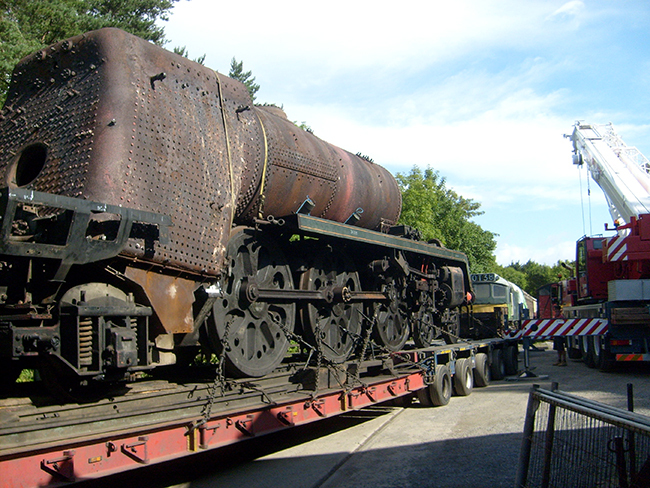 The boiler from 34028 joins those from 34059 & 34101 that are already at Buckfastleigh for major repairs. Several Bulleid owning groups have got together to commission work on their respective boilers to gain economies of scale.